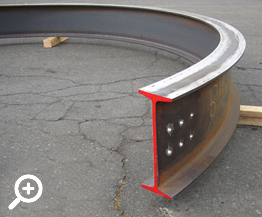 Above is a 15” S-beam that has been rolled the easy-way to a consistent curve, and has holes drilled in the end for mounting or installation. 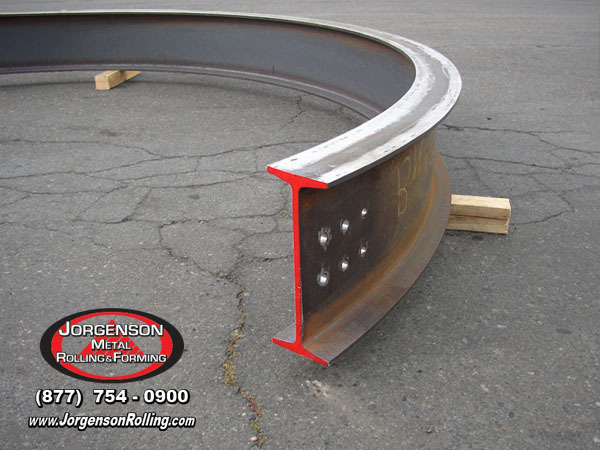 At Jorgenson Metal Rolling & Forming we specialize in rolling all types of beam, such as S beam rolling, wide flange beam rolling, M beam rolling or Junior beam rolling, both the easy-way like this, as well as the hard-way or on-edge. Email or call us for more information about our beam rolling or structural shape rolling capabilities. This is 8" x 15ppf channel rolled the easy way, leg in, to a 36 foot radius. 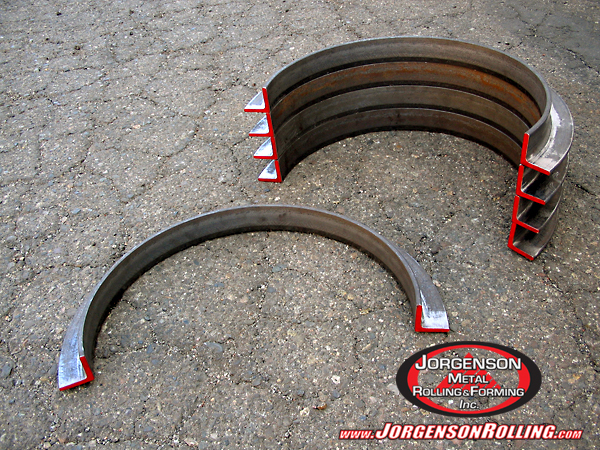 At Jorgenson Metal Rolling & Forming, we specialize in structural shape rolling. We do angle iron rolling, steel channel rolling, beam rolling, pipe rolling as well as square and rectangular tube rolling. 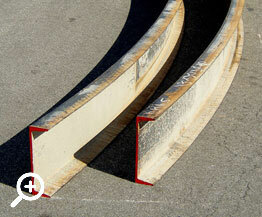 Channel Rolling and Beam rolling on edge the hardway or on-edge is also done at our facility. 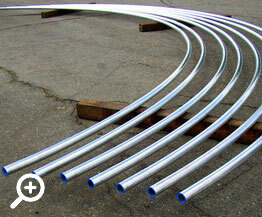 These are some 1 1/2" Diameter aluminum round tubes that have been rolled to a nice curve. 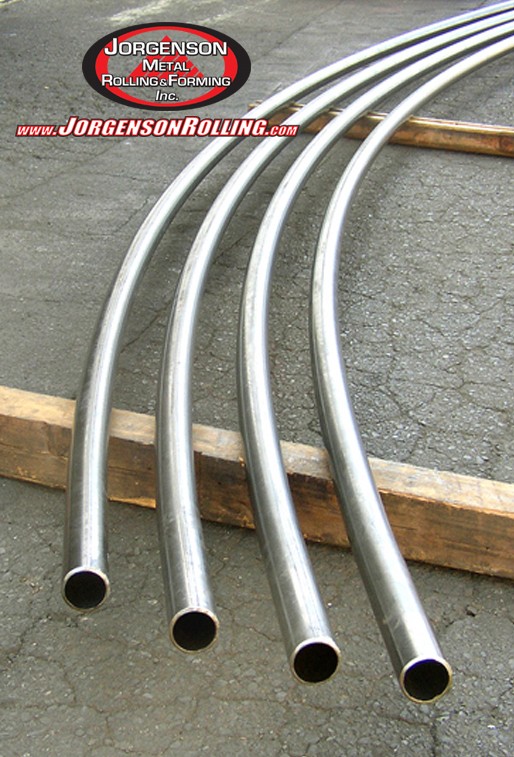 At Jorgenson Metal Rolling & Forming we specialize in rolling round tube and pipe in many different material types, such as aluminum tube rolling, stainless steel tube rolling, brass tube rolling, copper tube rolling, and plain steel tube rolling and bending. Don’t hesitate to email or call us for more information about our tube and pipe rolling capabilities. 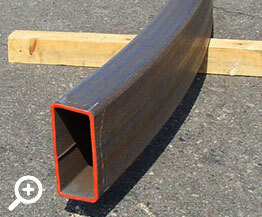 This is a 12” x 4” steel rectangular tube that is rolled the easy-way to a consistent curve. 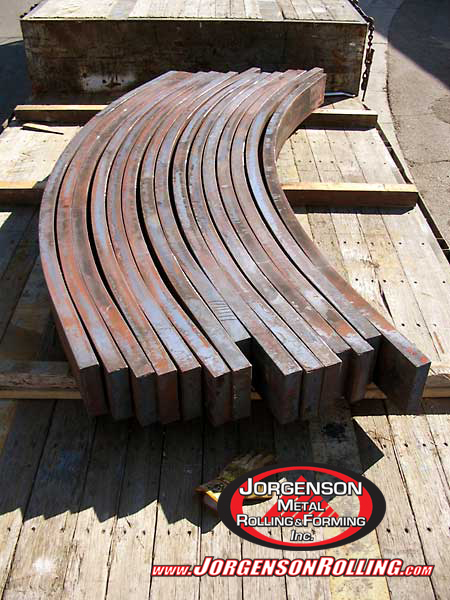 Here at Jorgenson Metal Rolling & Forming we specialize in rolling large rectangular steel tubing like this for many different purposes, such as spiral stringer rolling, curved stair stringer rolling, gate top rolling, canopy beam rolling, guard rail rolling, and many other purposes. 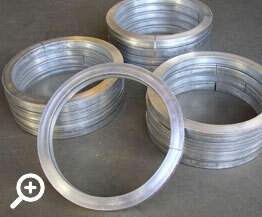 Don’t hesitate to email or call us for more information about our tube rolling capabilities. 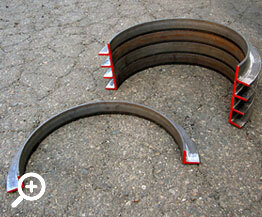 These are 2 pcs of 8” channel that have been rolled the hardway or on-edge to a nice radius per our customer’s needs. 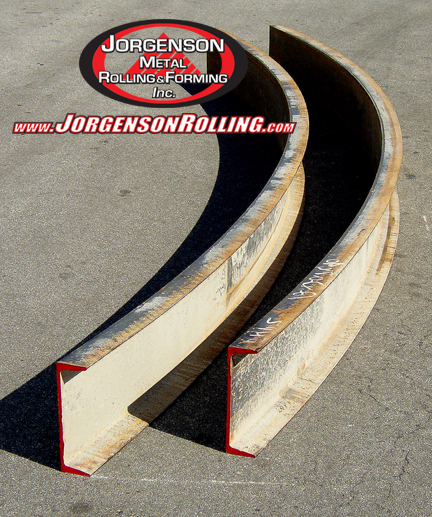 At Jorgenson Metal Rolling & Forming we specialize in rolling structural shapes like channel rolling, bar channel rolling, C channel rolling, MC channel rolling or Junior channel rolling both the hard-way or on-edge, as well as the easy-way. We do rolling the hard way using channel, beam rolling, rectangular tube rolling & angle iron rolling. Contact us for more information about how we can help you with your structural shape rolling needs. These are some 3” x 3” x 3/8” thick steel angles rolled to a gradual curve with the leg pointed outward, or away from the center of the circle. 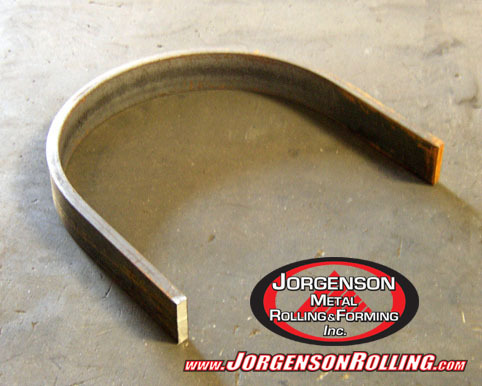 Here at Jorgenson Metal Rolling & Forming we specialize in rolling angle iron using steel, stainless steel, and even aluminum to make curves, angle iron rings, angle iron flanges, angle iron pipe supports, and many other parts. We can roll angle iron with the leg pointed out, and with the leg point inward. 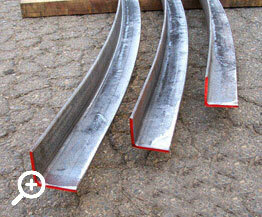 Contact us for more information about our angle iron rolling capabilities. This 2.0" sch 40 pipe is rolled to a 22 foot radius. 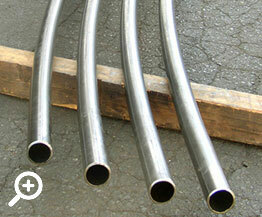 We do pipe bending and also pipe rolling in Steel, Aluminum and Stainless Steel. 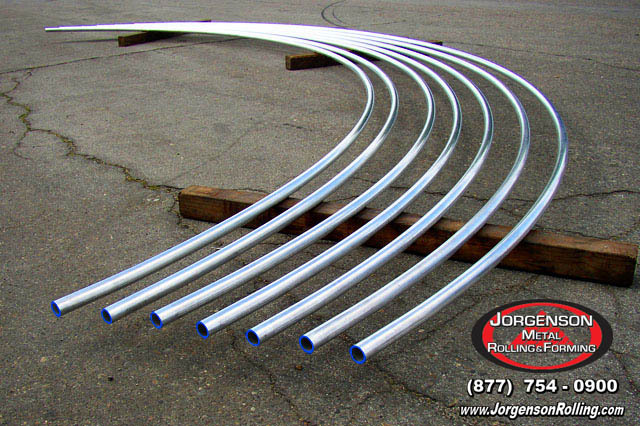 At Jorgenson Metal Rolling and Forming we specialize in rolling pipe and round tube for many different purposes, including making complete tube rings, metal hoops and circles, as well as rolling pipe and tube to be used as a curved stair stringer, spiral stair stringer, curved handrail or decorative feature in a curved stair. Contact us for more information about how we can help with your pipe and tube rolling needs. 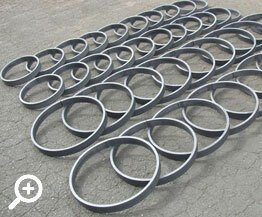 These are 2 1/4" x 8” flat bar that is 10 ft in length, rolled to an inside radius of 36 feet. 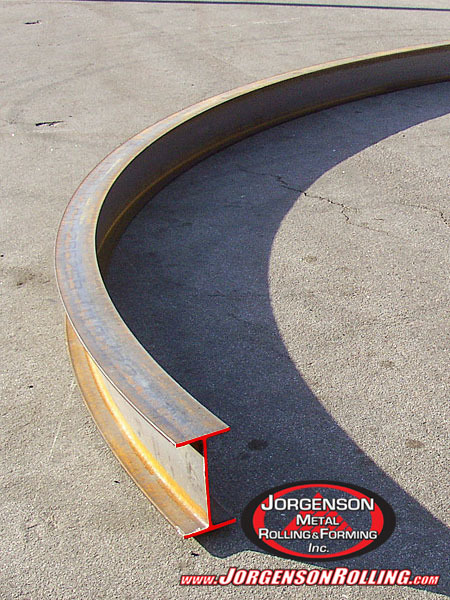 At Jorgenson Metal Rolling & Forming we specialize in rolling and forming large structural steel shapes such as flat bar rolling, beam rolling, tube rolling, channel rolling and angle iron rolling. 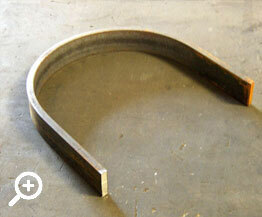 These shapes are commonly used to create canopies, over-hangs and other architectural elements. Please call or email us for more information on how we can help you with your metal rolling and forming needs. These are 2 pieces of 3” steel beam that has been rolled the easy-way to a 180 degree curve with straight tangents on both ends. 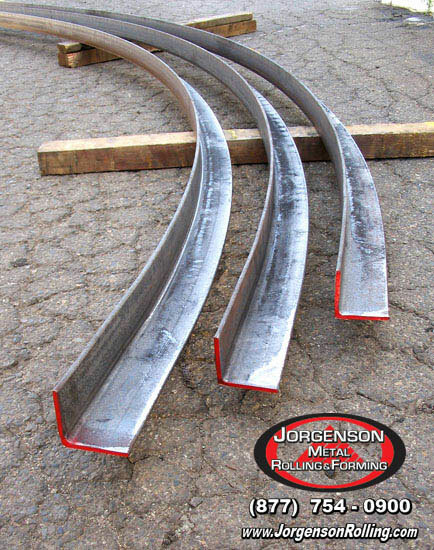 Here at Jorgenson Metal Rolling & Forming we specialize in rolling structural shapes such as steel I-beam, channels, angle iron, structural T’s and others to make specific shapes like U-bends, S-curves, bell-curves and many other curves with varying radii and degrees in the curve. 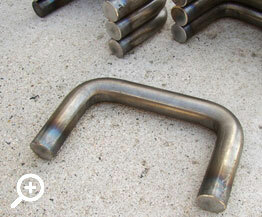 This is a piece of 1-1/2” 1018 solid steel round bar that has been bent to make a C-shape, and will be used as a handle for a heavy-duty application. 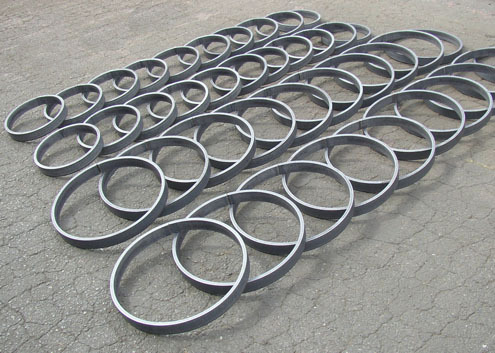 At Jorgenson Metal Rolling & Forming we can custom form solid bar, pipe and tube to make various shapes like this, as well as metal rings, steel hoops, metal flanges, s-curves, bell curves and many other custom shapes. 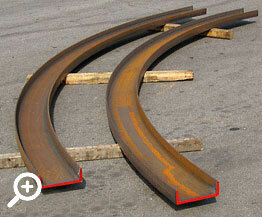 This is ½” x 1 ½” steel flat bar rolled into rings with various inside radius. 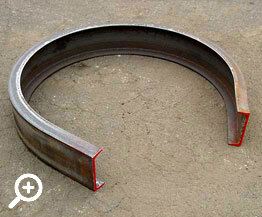 We can roll flat bar the easy way and the hard way to be used as steel flanges, steel collars and metal strengtheners. 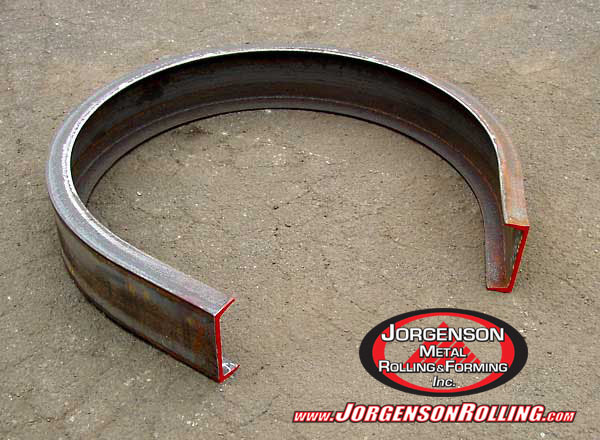 At Jorgenson Metal Rolling & Forming we specialize in rolling all structural shapes including angle rolling, channel rolling, beam rolling, pipe rolling as well as square and rectangular tube rolling. 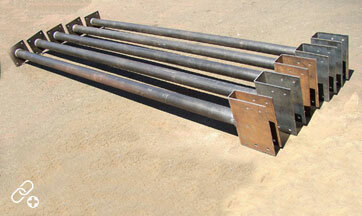 Email or call us for more information about how we can help with your structural steel rolling needs. This is 1” x 1” solid aluminum square bar rolled to rings with an inside radius of 6”. 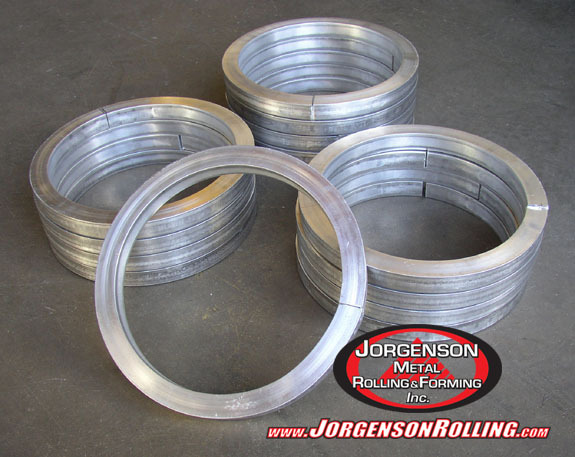 Square bar rolling is one of the many shapes that can be rolled at Jorgenson Metal Rolling & Forming, as well as round bar rolling, square and round tube rolling, and channel and beam rolling. Don’t hesitate to contact us for more information about our rolling capabilities. This is a 12" beam rolled to a 36’ radius. This beam is rolled the easy-way. 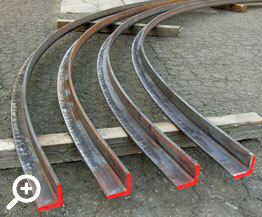 We can roll beam, channel, angle and rectangular tube both the easy-way and the hard-way. 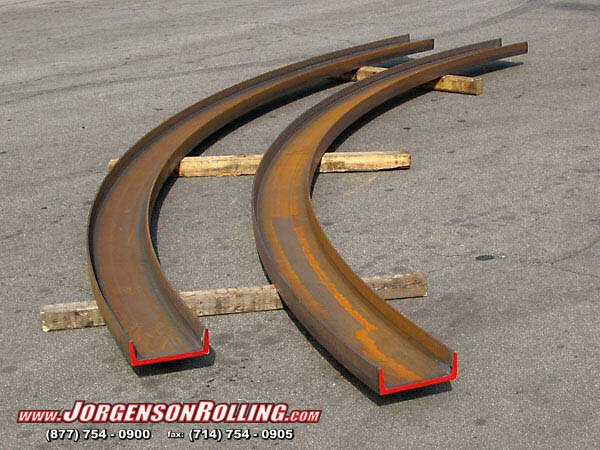 At Jorgenson Rolling & Forming we specialize in rolling and bending of structural shapes, such as beam rolling on edge, channel rolling on edge, and angle iron rolling on edge. Above is a 14 inch steel MC Channel that has been rolled with the legs pointing out to a gradual radius for a structural application. 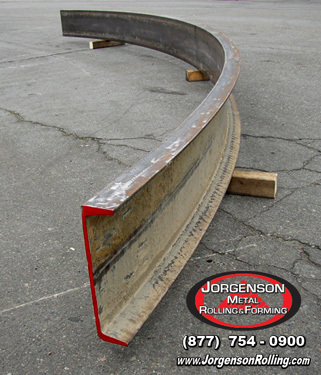 Here at Jorgenson Metal Rolling & Forming we specialize in rolling structural steel shapes like channel, beam, tube and many others to all types of curves, such as bell curves, varying radii, spiral curves, and s curves. Don’t hesitate to contact us with a description of what you are looking for to find out more about our capabilities and how we can help on your next rolling project. This is 1 1/4" x 1 1/4" x 1/4" angle rolled the easy-way leg out to a 6” radius, forming a half circle. These parts will be spliced together to make metal a metal angle iron flange. Jorgenson Metal Rolling & Forming specializes in structural shape rolling. 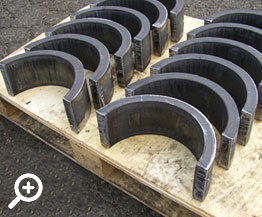 We do angle rolling, channel rolling, beam rolling, pipe rolling as well as square and rectangular tube rolling. 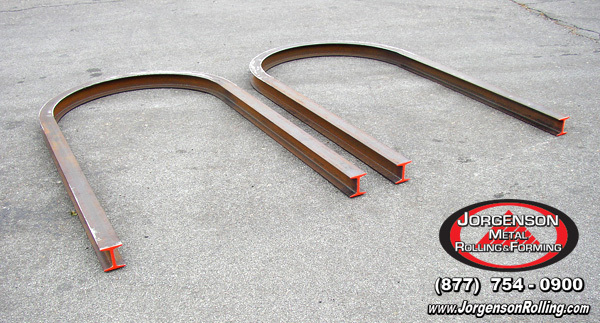 These are 1” thick x 4” wide steel flat bars that have been rolled and trimmed to make a 180 degree section, and will be used to make a steel collar for decoration. 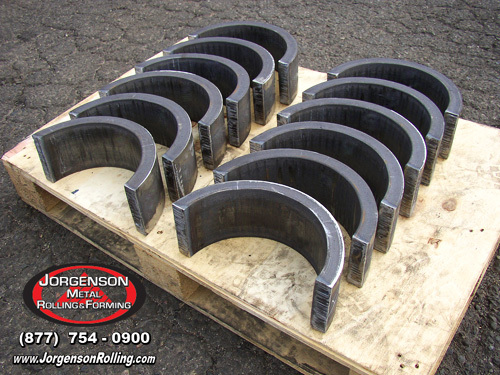 Rolling carbon steel and stainless steel flat bar, among other metals like aluminum, to make tight rings, circles and shells, cylinders and drums is one of our specialties at Jorgenson Metal Rolling & Forming. 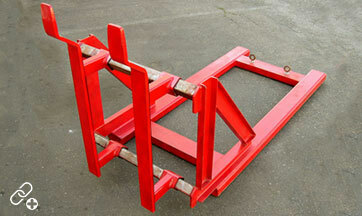 Please visit our contact us page and send us an inquiry for your rolling and bending needs. 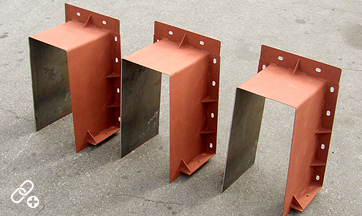 Above are 3 pcs of 4” x 4” x ¼” Carbon steel angle iron that have been rolled to a nice arc with the legs-out, per our customer’s precise requirements. 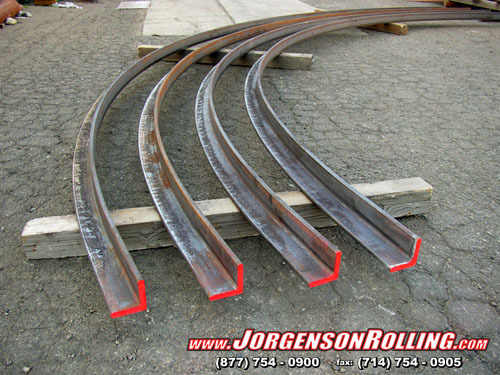 At Jorgenson Metal Rolling & Forming we specialize in rolling many structural steel shapes, such as angle iron rolling, c-channel rolling and beam rolling in different ways like the hard-way, easy-way, leg-in or leg-out and on-edge. 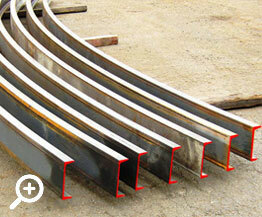 Don’t hesitate to contact us for more information about how we can help with your structural steel rolling needs. 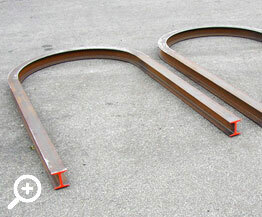 This is 1” x 4” flat bar rolled to 180 degrees, making a U-bend. 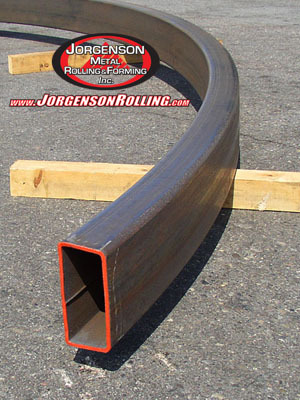 Rolling flat bar is one of our specialties at Jorgenson Metal Rolling & Forming, we also do heavy duty plate rolling to make things like pipe collars, pipe supports, pipe saddles, pipe sleeves and various other pipe related products. This is 12” channel rolled the easy way leg-out to a 25 foot radius. 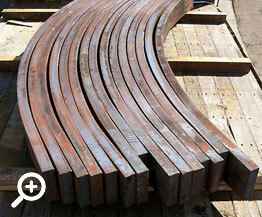 At Jorgenson Metal Rolling & Forming, we specialize in structural steel rolling. 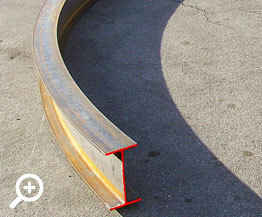 We do angle rolling, channel rolling, beam rolling, pipe rolling as well as square and rectangular tube rolling. 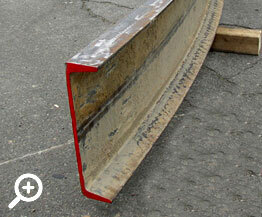 Channel Rolling and Beam rolling on edge the hard-way is also done at our facility. This is a 6” Channel that has been rolled with its legs in to a 32” radius. 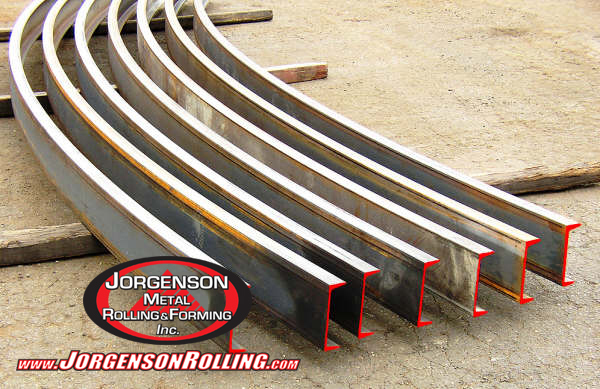 Structural steel rolling is our specialty here at Jorgenson Metal Rolling & Forming, including beam rolling, angle iron rolling, channel rolling, flat bar or round bar rolling and tube rolling.